Search homes for sale in Long Beach Island Towns. The LBI real estate market is broken into several different towns, each with they own sections. I can help you find the right town for you by explaining the differences between the areas and identify the more flood prone parts of Long Beach Island New Jersey! Long Beach Island or "LBI"
Long Beach Island, or "LBI" as it is known by the locals, is a beautiful barrier island off the southern coast of New Jersey. The area is known for its white sandy beaches, family friendly environment and close proximity to major population centers such as New York and Philadelphia. LBI is divided into 6 municipalities and further divided into small sections. Each area offers something different so it is important to know About Long Beach Island New Jersey LBI NJ before buying, selling or renting in the LBI NJ real estate market. Long Beach Township is the largest of the six municipalities that comprise Long Beach Island and is divided into multiple sections each with their own unique identity. Long Beach Township is spread throughout the whole of LBI and comprises roughly 12 of the 18 developed miles on Long Beach Island. Barnegat Light has been an active area of the LBI NJ real estate market. Barnegat Light showed amazing strength through Hurricane Sandy and has since attracted some buyers to the area for this reason. The area is beautiful and home to many local attractions! The High Bar Harbor real estate market is unique among the different real estate markets of Long Beach Island in that much of the area is waterfront, yet it is separated from the rest of LBI. The average price of a home in the High Bar Harbor real estate market is about $1,100,000 but the price per square foot is only about $500. Homes tend to sell a little slower in the High Bar Harbor real estate market since with an average between 175 and 200 days on the market. The Long Beach Island New Jersey real estate market is represented by many different areas with specific attributes that impact the value of the local real estate market. Loveladies NJ, located on the northern end of Long Beach Island, is universally accepted to be the most expensive real estate on LBI and one of the most highly sought after areas to call home on Long Beach Island. The average price of a home in Loveladies exceeds $2,500,000 and homes have an average price/ sq. foot of over $850. Harvey Cedars NJ real estate has seen a lot of activity over the past year. The average price of a house in Harvey Cedars is around $1,100,000 or an average sale price of over $600/ sq. foot. Harvey Cedars and the LBI NJ Real Estate Market have both shown a surge in activity and Harvey Cedars contributes to this partly because of how well the area did during Hurricane Sandy. North Beach New Jersey has an average sales price of around $1,400,000 and prices out at about $550/ sq. foot. North Beach offers mainly newer homes and therefore lacks many of the Cape Cod style homes seen elsewhere on LBI and the Long Beach Island real estate market. The Surf City New Jersey real estate market shows an average sale price of just over $1,000,000 although there are many single family homes that will sell for less than half that number! On average, the price per square foot of a house in the Surf City New Jersey real estate market is about $500. Homes tend to spend a little longer on the market than elsewhere in the LBI real estate market with an average of about 180 days. Ship Bottom New Jersey real estate tends to be one of the most affordable areas of the LBI real estate market. With an average home value of about $500,000-$600,000, there are many opportunities for buyers in the Ship Bottom real estate market. On average, homes have a value per square foot of $450 or so making it one of the lowest averages on LBI. This is not to say that Ship Bottom is not a great place to live! Ship Bottom is a higher density area with many smaller lot sizes thus making the homes more affordable. The Brant Beach real estate market has been very active and shows in the number of homes sold. The average price of a home in the Brant Beach real estate market is between $800,000 and $1,300,000 or roughly $546/ sq. foot. There are many homes that will sell for much less, for example small Cape Cods, and some more expensive homes like oceanfront homes that can sell for $3,000,000 or more! It is important to examine Brant Beach NJ and the LBI NJ Real Estate Market before making an real estate investment. Beach Haven Crest is a small section of Long Beach Township that offers beautiful beaches and an affordable lifestyle! Homes average about $725,000 in Beach Haven Crest and cost about $377/ sq. foot. On average homes spend about 150 days on the market in Beach Haven Crest. Brighton Beach NJ and the LBI NJ Real Estate Market have both been very active! Home prices in the Brighton Beach real estate market tend to run between $650,000 and $800,000 depending on the style and location of the house and run about $450/ sq. foot. Real estate typically spends about 130 days on the market in Brighton Beach. Peahala Park shows an average sales price of about $900,000 with an average price per sq. foot of about $500. On average homes spend about 160 days on the market which is in line with the rest of the Long Beach Island real estate market. Peahala Park offers some excellent buying and selling opportunities with an active real estate market and strong property valuations. The Beach Haven Park NJ real estate market shows a higher average among the small sections of Long Beach Township on LBI. The average price of a home is between $1,100,000 and $1,300,000. It is important to note that many bayside homes will trade for half or less of this price showing again how important location is when looking at the LBI real estate market. Homes in the Beach Haven Park real estate market have an average price per sq. foot of about 560 and spend about 150 days on the market. Haven Beach New Jersey is among the most highly sought after real estate on Long Beach Island. Real estate transactions are few and far between simply because most homeowners hold on to their properties. This is reflected in the fact that the average days on the market is only about 60 days or roughly a third of the average time a home spends for sale in the LBI NJ real estate market! The Dunes New Jersey real estate market is a highly sought after facet of the LBI real estate market on Long Beach Island. The average price of a home in The Dunes is around $1,050,000-$1,100,000 and trades for roughly $500/ sq. foot. Homes in The Dunes tend to sell faster than the average in the Long Beach Island New Jersey real estate market is about 100 days. Beach Haven Terrace has a somewhat lower average price per sq. foot at only $450 or so. Homes spend about 150-200 days on the market and the average price ranges from $500,000-$800,000 depending on the location and age of the home with many oceanblock and oceanfront homes trading at or above $2,000,000! The real estate market in Beach Haven Gardens has been very active. The average price of a single family home in Beach Haven Gardens is between $800,000 and $1,000,000 with some homes being higher and lower depending on location and condition. On average homes sell for a price per sq. foot of about $600 and homes spend an average of 130 days on the market. The Spray Beach New Jersey real estate market shows us an average home value of about $900,000. On average homes sell for about $525/ sq. foot which is in line with the majority of the LBI real estate market. Homes spend about 100 days on the market which is a little lower than the average for the Long Beach Island real estate market. North Beach Haven NJ is located next to Spray Beach and Beach Haven on Long Beach Island New Jersey. Contrary to the name, North Beach Haven is actually a part of Long Beach Township. The name was given to the area during the early stages of development to play off the popularity of the town of Beach Haven. Today, North Beach Haven offers a mostly residential area with a short walk to the bay and beach. The beaches are patrolled by the Long Beach Township Beach Patrol and the close proximity to the attractions of Beach Haven make it a popular rental area. Holgate New Jersey real estate has undergone some significant changes since Hurricane Sandy. While the average price of a home in Holgate is still over $1,000,000, there has been much fear associated with the area as it suffered such destruction from Sandy. The area has undergone a major renovation with new homes going up on every street which has created stability in the Holgate market and some excellent investment opportunities. All the towns on LBI have something different to offer. Be sure you understand not only the financial impacts such as taxes and insurance rates (they differ from town to town) but also the impact the summer season will have on the area. There are some important differences between the different towns on LBI. Click below for a quick overview of each town and some real feedback based on past showings and residents of each area. Learn about the Long Beach Island New Jersey area and all there is to do here! 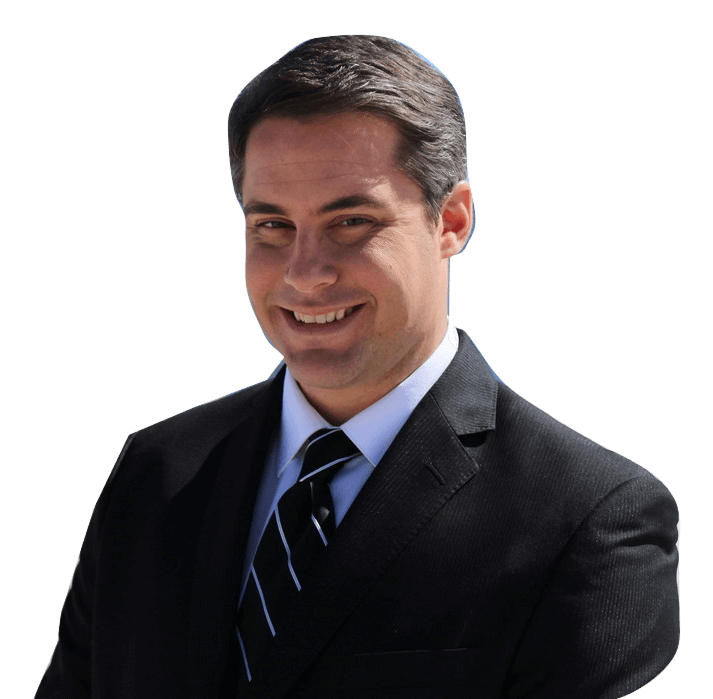 Meet Nathan Colmer, one of the top real estate agents on Long Beach Island. Learn about all the fun that Long Beach Island NJ has to offer!